In the world of marketing, you have to reach out and grab your customer’s attention with both hands because there are so many other factors fighting for it. Your customer has only a few seconds to acknowledge you and your company. Sometimes the slightest difference can create perceived value. 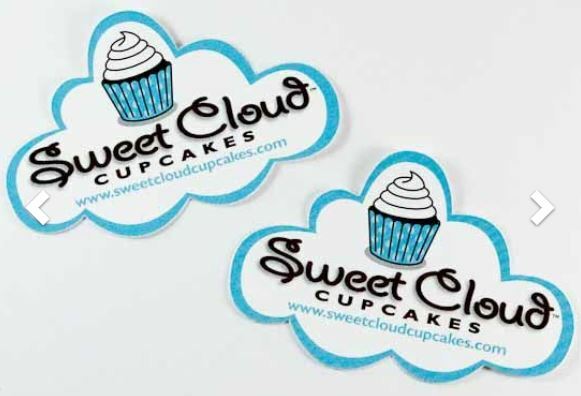 Blue Bee Printing has an innovative solution to capture your customers’ fleeting attention: custom die cuts. Die cut printed materials can help your business take shape. Square, rectangular, and circular stickers are everywhere. A sticker with a custom die cut shape will make it stand out in the pack. The type of cut you choose depends on your type of business. You can cut the sticker in the shape of your logo. You could cut in the shape of the first letter of your name or your business name. Think about creating a sticker shape with special effects around the edges. Simply upload your file and let us take care of the rest. Die cut magnets are a new trend and one that we at Blue Bee are definitely excited about. Businesses use them to get their customers to stick their information on their refrigerator — making their information front and center for all visitors to their home. Doctors’ offices create a list of important numbers with their number and Poison Control pre-printed as a marketing tool that is also helpful to their patients. Consider printing your business card information on a magnet so that your customers will always have your contact info at hand instead of shoved into a pile with the rest of their paper card collection. Car magnets are incredibly popular since they don’t do any damage to the car’s paint and are easily removable. You can use die cuts to make your business stand out, make your logo clearer and easier to see, and make your text easier to read without a lot of empty white space. Vinyl decals are a multipurpose item. Then can be applied to any smooth surface including windows and mirrors. Decals can be used on office doors to designate the name and position of the employee. This gives your offices a professional look. They can even be used on entrance doors to print your business name in case passersby miss your sign, or print important information like store hours. You can print changeable information to be applied to windows, like limited time sale offers, or holiday specials. Their removability means you can change them on an as-needed basis. Decals can also be used to brand your equipment with your logo. Put them on company laptops and iPads. Apply them to work phone cases or pop sockets. If your business uses production equipment, you can add die cut decals to any flat area. This will give your production area a professional, branded feel. There are so many ways you can use custom die cut printing to enhance your business image. 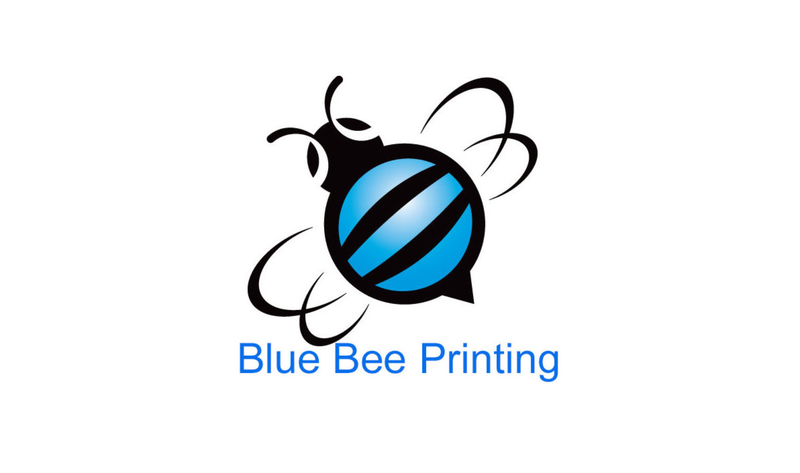 Blue Bee Printing’s user-friendly site will guide you through the process. Simply select your product, choose your finish, upload your file, and let us take care of the rest. Optionally, you can choose from any of our pre-made templates to make your design process easy and painless. With no minimum quantity we can print single units for one-off needs, or large sets for customer giveaways. With Blue Bee custom die cuts, you can shape your business success. Bumper Stickers- They’re Not Just for Cars Anymore! Typically, if you see a sticker in the shape of a long, horizontal rectangle, you know what it’s called and what it’s for. But not all long rectangular stickers have to end up on your car’s bumper. People are exploring new opportunities for these traditional unitaskers. Bumper stickers are popping up everywhere and in surprising new ways. Car bumper stickers have a variety of purposes. They can be funny phrases, decoration, declaring allegiance to a certain band, expressing political affiliation, or advocating for a social cause. “If you can read this you’re driving too closely” can commonly be found on the rear of an automobile. Now this product is showing versatility that can be used in advertising, the workplace, schools, and more. 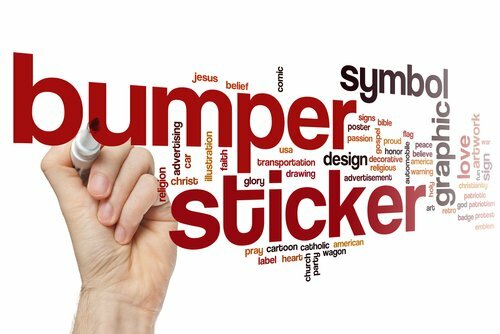 Rectangular stickers have endless uses in marketing your business. You can leave some on the counter for your customers to take. Create a dedicated hashtag and social media contest. Have your customers place your stickers somewhere, upload a photo with the hashtag, and draw a prize from all of the entries. Your business and logo will gain exposure, and you will create excitement among your customers. Custom square stickers are perfect for packaging when you are just starting out. You might not be able to afford custom bags with your logo and brand information. A sticker on a bag is a great way to get started. You can use them on boxes for your product, containers of food if you’re in the food service, or even in your mailing packaging. Bumper stickers are weather-proof so you can leave them outside. That means you can use them in locations where other stickers or advertising might not hold up. You can stick them on windows, walls, and posters and they won’t be damaged by the elements. The classroom is a great place to use bumper stickers. Younger students need reference points for their letters and numbers. Teachers often order cards and signs that can be applied to students’ desks, then laminate them and tape them to the desktop. Bumper stickers are a durable, water resistant alternative that can save teachers and school districts money and be customized for their grade level. Additionally, bumper stickers can be used all over the classroom for labeling shelves and materials so students can learn organizational skills. They can be used for cubbies and closet hooks. They can help keep the art supply closet neat and orderly. In the lunchroom or cafeteria, bumper stickers are great for identifying which tables belong to each class, and to designate allergy-free areas. Since they are durable, they will last all year. Coaches can use bumper stickers to label equipment. This is a great solution for games where schools are traveling to other locations and can easily get their supplies mixed up. The stickers are resistant to water, so they will still remain after a game in the rain. Taped up notices with office policies can be an eyesore. Use custom bumper stickers instead and you won’t have any more papers flapping everywhere. Alert your staff that cell phones are prohibited in the work environment. Remind the lunch crowd that food in the microwave must have a cover. Any policies or notices can be posted with a sticker for a more durable solution. Stickers can be used to label offices or desks. They can be affixed to computers with network log-in information. You can create an important phone numbers list with technical support, ordering, managers, shipping, etc. There are so many uses for custom bumper stickers. They can be found where you’ll least expect it. Now that you’re looking for them, you’ll start to see them everywhere. A sticker with the words “Eating Animals” on a STOP sign. A band name on a bus stop wall. A sticker discreetly placed in your shopping bag. A restaurant counter with a stack of stickers next to a display of business cards. Bumper stickers are jumping off bumpers and into the marketing mainstream. 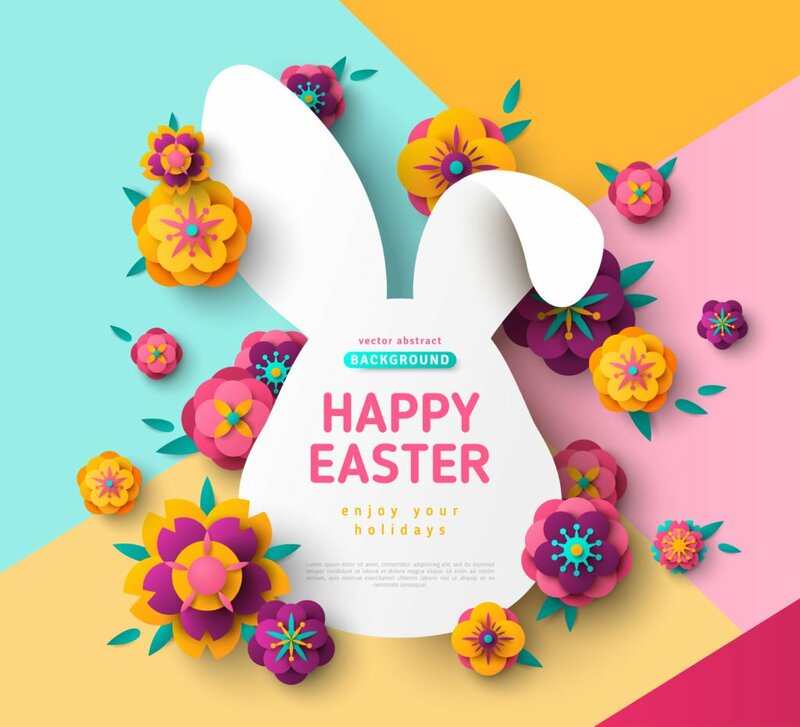 Easter is just around the corner and if you’re running low on ideas for your baskets, look no further than Blue Bee Printing. Holiday stickers are a great way to put personal touches on your family traditions. Personalized Easter basket: Surprise your kids with a sticker for their basket with their name on it and the year. Add a special delivery sticker from the Easter bunny with postage, ground delivery. Easter Basket treats: If you’re hesitant to fill your baskets with just candy, try some of these original ideas. Buy square wooden blocks or cut them yourself. Make an Easter sticker large enough to cover them all and cut it for a DIY puzzle. Turn the blocks over and cut a new sticker set so you have 6 different puzzles altogether. Egg Hunts: Create custom stickers for boring dollar store plastic eggs. Change up your backyard hunt by making each egg have a clue to the next egg printed on the sticker. Or if you’re part of an organization, school, church, or business that offers public egg hunts, customize the eggs with your business or event logo on each egg. Egg Dyeing: Create custom stickers to stick on your dyed Easter eggs. Give your eggs emoji faces, or turn them into unicorns. Let your imagination run wild! Crafts: Print yellow stickers with little chick eyes and beaks and adhere them to juice boxes. Easter cards: Wish your family and friends a Happy Easter with beautiful holiday cards. You can customize plain note cards with Easter stickers, and make bunny print envelope seals. And here’s the inside scoop. A bag of bunny poop! Easter dinner: Make place cards for your dinner guests for a fanciful touch. If you’re serving dinner buffet style make labels for each dish. Easter flowers: You’ve bought beautiful Easter flowers for your table, don’t ignore the vase! Decorate it with vintage Easter artwork that Beatrix Potter would be proud of. Easter outfits: After you’ve changed out of your photo-ready Easter church clothes, get the whole family together for an Easter photo in matching t-shirts. Save by buying plain solid-colored shirts and print stickers for customized holiday wear. Get creative with your holiday with affordable, easy Easter stickers. With a variety of shapes, sizes, and finishes, Blue Bee has the custom printing to suit every need. 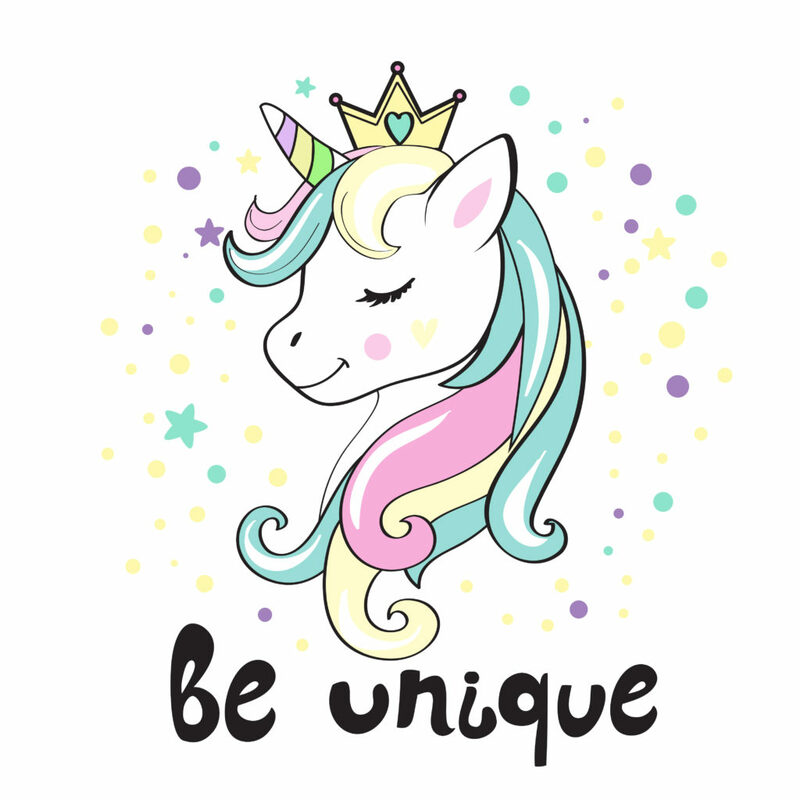 Best Stickers Online: Make Your Own Personalized Favorites! Stickers are a versatile, easy, affordable way to advertise, show your pride, be creative, and connect with people. The best stickers you’ll find online are right here at Blue Bee Printing. When it comes to the uses for custom stickers, you are only limited by your imagination. Here are some of the ways you can incorporate custom stickers into your business, hobbies, events, and everyday life. Logos and branding: If you’ve ever bought a new Apple product, you might have noticed a small sticker of an apple logo in the package. No words accompany it – just the apple. Sending their logo out into the world ensures brand loyalty. If they’ve sent you a sticker of their brand, chances are good you’re going to find somewhere to use it. You might give it to your kids to play with, thereby inducting a new generation of future Apple fans. Where Apple has succeeded, so can you. Stickers that contain your company logo make your brand recognizable and memorable. Giveaways for marketing: People love free stuff. They are more likely to remember you or your business if you’ve given them something of perceived value. Most people throw away business cards, but a sticker is something that stands out. If your business has a brick and mortar location, leave stickers on the counter for customers to take or place them in customers’ bags with their receipt. If you’re attending an event – bring stickers and other marketing materials imprinted with your logo and web address so people know how to find you online. Are there any local events where you could advertise? PTA associations, church groups, and charitable organizations hold fundraisers and gift auctions frequently. These groups love free donations that they can include in ‘swag bags.’ You can donate your product or service in exchange for advertising and get a tax deduction in the process. Attend local vendor events and have a stack of stickers for passersby to take with them. Stick them in your store: Use stickers for wrapping merchandise and sealing delicate items with tissue paper. Use them to brand your handmade products like candles or soap. Put them on your jewelry boxes or clothing. You can even print ‘limited edition’ stickers that get people coming back to your store to get the latest collector’s item. Video Games: Video games are no longer a solitary activity. Friends from near and far can now interact with each other via a multitude of gaming systems, allowing them to play multiplayer games and team events, turning gaming into a social event. Teams can interact competitively with each other. Having a video gaming team has even become a spectator sport with some leagues now broadcasting on ESPN. Get in on the action by creating a logo for your game group. Set up a YouTube channel where you can broadcast your adventures and, of course, give out stickers to direct new viewers to your channel. Kids: Children love stickers. They put them on their shirts and show them off to their friends. Make Happy Birthday stickers so everyone knows it’s your child’s birthday. Give your little one a boost with heart stickers that say ‘My Valentine,’ or ‘I’m the Pot of Gold at the End of the Rainbow’ stickers for St. Patrick’s Day. Additionally, have children place stickers of their favorite characters on paper and draw creative scenes to accompany them. Family and Friends: Family members love to receive printed photo stickers as gifts. Use stickers instead of invitations for parties to make an impact. Create memorable photo stickers for wedding Save the Dates, sweet sixteen mementos, religious sacrament events, and more! Co-workers: A great way to use stickers in your professional life – even if you don’t own your own business – is to improve workplace morale. Give everyone from your department a sticker with a silly tagline for your group like ‘We Put the HR in tHRill!’ and change the word every month to keep things fresh. It’s easy to create stickers to enhance your life. If you’re feeling stuck, Blue Bee Printing has a variety of shapes and finishes that are guaranteed to allow your creativity to shine. With Valentine’s Day just around the corner, it can be hard to keep those New Year’s resolutions from fading from memory. How do you keep enthusiasm up when the days drag on and it’s so easy to slip back into your old routine? Custom stickers by Blue Bee Printing may be the answer you’re looking for to give you the edge to succeed. To keep your resolution from adding to the overwhelming majority of failed ones, you’ll need to change your behavior. Research shows that permanent behavior modification is a process that takes at least 66 days. That means you’ll be well into March before your resolution stops being a force of will and becomes a habit. You can use custom stickers to influence yourself in these five ways. Track your progress: Whether you use a wall calendar, a notebook, or a planner, have a tangible reminder of your progress. On days when you were successful, give yourself a positive sticker. Use a smiley face, a photo of a loved one, or something that makes you happy. Leave the unsuccessful days blank. When you start seeing fewer and fewer blank days you’ll know you’re on the right track. Accountability: You can give all the excuses you want to, but when the results are in black and white, there’s no glossing over it. If you’re using stickers to keep track of your resolution, you’ll know why you’re successful or not. Visual reminder: Having the visual aid of a calendar makes it harder to ignore or forget your goal. You can always choose not to open the app on your phone that you’re using to keep track of yourself, but it’s harder to close your eyes to a calendar on the wall or your desk. Set mini-goals: Large goals and resolutions can be intimidating. Set smaller goals so you can feel accomplished. Mark your calendar with a new sticker when you achieve your mini-goal. Reward: Set milestone rewards for yourself to keep motivated. But through the process, the stickers are the daily reward. There’s a reason teachers use them on tests. Stickers make you feel as if you’ve achieved something. Don’t hold out on yourself by waiting to the end for a reward. Constantly congratulate yourself for working towards your goal. Lose weight: Create photo stickers of yourself to track your progress. Start with a before photo and at each mini-goal you achieve take a new photo. You’ll stay motivated when you see how much you’ve improved. Exercise more: Create fun stickers that show what activity you did. On running days, use a photo of Forrest Gump. On swimming days, use Michael Phelps. If weightlifting is your goal, use a photo of the body part you worked. This will help you keep track of your leg days and your arm days. Save more money: In many cases, saving more money is a set it and forget it plan. You can decide how much money you want to save per month and have it automatically withdrawn and transferred to a savings account. However, not over-spending is where the real challenge lies. Saying no to going out to lunch and bringing a brown bag every day isn’t immediately rewarding. Use your reward stickers to highlight small victories like a no-spend day, or cancelling a paid subscription service. Set a weekly budget and sticker the weeks where you were able to stick to it. Learn a new skill or develop a new hobby: Hobbies are difficult to track because they’re more open-ended. Ideally there’s no end goal, you just keep improving your skill. If you’re taking formal lessons for your new hobby, sticker the lesson days with one sticker and the days you practice at home with a different sticker. You’ll be able to see when your practice days are dropping off so you’ll be prepared for the lesson days. Read more: Set a daily goal of how many minutes you want to spend reading and give yourself a sticker for each day that you meet it. Challenge yourself to finish a certain number of books for the year and sticker the days when you finished one. Write your thoughts on the book in your planner so you can always have a visual reminder of it. 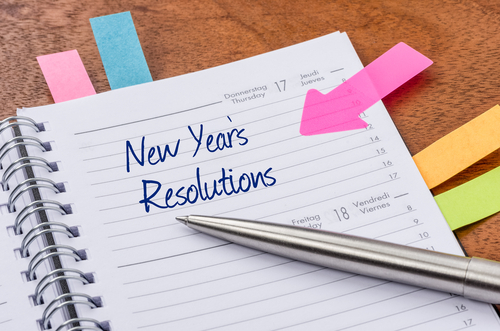 If you’ve made resolutions before without success, make this the year that you change your behavior. You can stick to it with custom stickers. Whether your business is a startup or you’ve been in the field for years, advertising is essential. So much advertising is done digitally through email distribution lists, websites, social media platforms, and text alerts. Information overload has overwhelmed consumers to the point of saturation and only a select few ads have any resonance or impact. Emails and messages are easily deleted without even opening them. How do you reach consumers through all the noise of digital marketing? The answer may lie where you least expect it– direct mail marketing and oversized postcards. Why is print media seeing a resurgence in popularity as an advertising form? There’s less mail: It may seem counter-intuitive to go with an advertising method so conventional, but it is the rapid departure from print media that has made the return to it so inviting. People are receiving fewer mail advertising pieces: unsubscribing from magazines and newspapers in favor of digital versions and opting for paperless billing. Less mail means that your piece is more likely to be viewed and not accidentally stuck in the pages of a magazine. The consumer has to touch it: Unlike an email or text message which can be discarded without opening, a postcard has to be touched. The recipient will see some part of the postcard. In many cases it will be saved for later reference. It’s trustworthy: There’s a reason print media was the chosen form of advertising for so long. It works. People have an inherent view of print advertising as more reliable than digital versions. People like feeling appreciated as customers: Your easiest way to increase business is through your current customer base. Sending them invitations to special events or sales is a great way to reward their customer loyalty. Choose your postcard size: Oversized postcards will allow you to have more surface area seen by your customers and generate more of a response than standard size. Use a mail house to reduce postage costs: Since oversized postcards cost more in postage than standard ones, use a mail house to reduce your cost. They will take your mailing list and pass on to you a discount on bulk mailing. Create targeted marketing campaigns: Get the best value from your campaigns by marketing to specific people. Maintain databases of current customers, former customers, and potential customers. Design pieces specifically to market to them. Former customers respond to feelings of guilt when they hear that their patronage is missed by a business. Current customers want to be rewarded by the businesses they frequent. Potential customers can be swayed with the right incentives to buy. Design pieces to appeal to each group separately to get the most return on your investment. Design is important: If your advertising piece is going to be noticed, you want the design to be pleasing. Most people have a location in their home for mail. In a perfect scenario, the mail will be seen by others visiting the household. Let Blue Bee Printing help with our easy design platform. Concentrate on the content of your piece and ideally give it emotional resonance. That will bring optimal response from your customers. Drive traffic online: Include your web address and a QR code so you don’t have to cram your postcard with too much information. Get your customer to your website and allow them to explore. You can take advantage of time-tested method of direct mail marketing with the quality postcards offered by Blue Bee Printing. You’d have to have been hiding under a rock for a substantial amount of time if you haven’t at least heard of the popular app, Instagram. 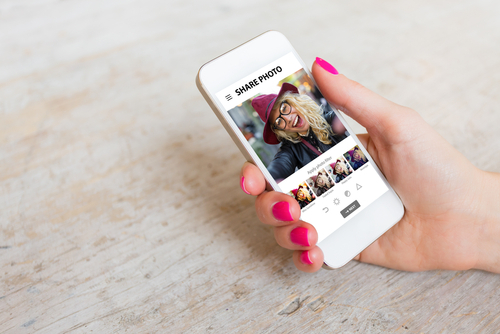 However, in case you’re new to Instagram, it’s a social networking service that allows its users easy and fun ways to share photos and videos with friends, family and virtually anyone (if you choose to make your account public). 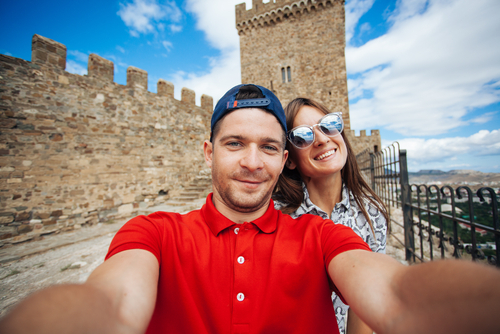 Instagram is a great way to display your photography skills, showcase your travels, or even just share a sweet selfie you took with friends. 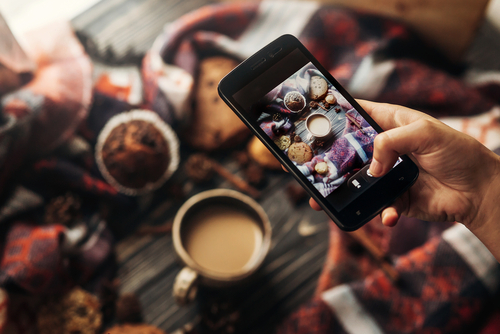 With quick, easy photo editing tools and dozens of different filters to add an artistic flare to your photos, “IG” is a great way to share beautiful pictures with your online followers. But what if you want to frame or display your masterpieces in real life? If your Instagram collection is too good to stay simply virtual, one option is to turn your photos into personalized magnets. Use Blue Bee Printing to print Instagram photos on magnets so you can enjoy your photos beyond the information superhighway. Select the image(s) from your Instagram feed that you’d like to turn into a magnetic memory. Save the target photo(s) from Instagram to your cell phone’s camera roll. Alternatively, if you’re just starting out on Instagram, take a new photo or choose an existing picture from your camera roll on your phone. Upload it to Instagram. Make sure you check out all the offered editing features, like color-correction, brightness adjustment, and everyone’s favorite – the fun filters! 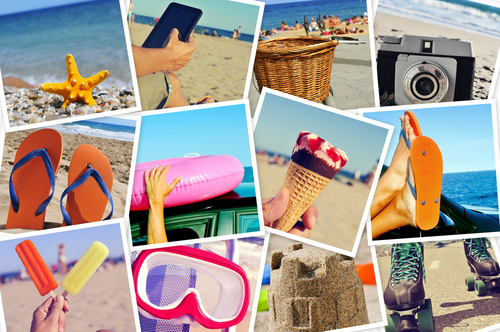 Once you upload your jazzed-up picture to Instagram, the edited version will automatically save to your camera roll. Once you have your photo, re-visit Blue Bee Printing’s website. Select ‘Custom Magnets’ and enter your preference of quantity, dimensions, coating, and desired print time for your magnets. If you need help at any step in the design process, our customer service team is readily accessible through our online web-chat feature, no matter what time of day or night you’ve decided to get creative. After you have entered your preferences, you will be able to upload your Instagram photo to our website. Using jpg or jpeg format typically results in the best final image for printed magnets. Your file should be at least 300dpi and less than 50MB in size. Blue Bee Printing will take it from there! Our team will provide you with an affordable, industry competitive price quote. We will then use your preferences and photo to create a custom magnet. Our high quality magnets will allow you to bring your creativity and memories to life. Our magnets come in multiple shapes and sizes for you to choose from. While our standard shapes are square (which works best for IG photos), oval, round, and rectangle, our die cut magnets allow us the freedom to make stickers in virtually any shape you can imagine. Blue Bee’s standard square magnet sizes range from two square inches to four square inches, but we can print magnets to the perfect size for your needs. We offer glossy and matte lamination in UV resistant coating to protect your magnets from the sun so that they stay bright and colorful for years to come. Photo magnets are a creative and useful way to encapsulate your memories. You can enjoy photo magnets for yourself to create a fun, eye-catching display. Alternatively, creating tangible memorabilia for others is a great way to present loved ones with a truly unique and personalized keepsake. 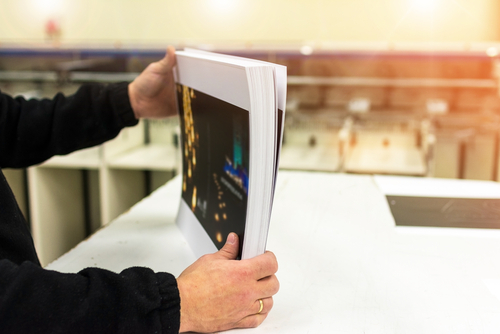 Blue Bee Printing is committed to creating only superior quality products for our customers. Our friendly and experienced customer service team is always available to answer your questions and help you design your custom magnets. Additionally, we create custom printed stickers, postcards, greeting cards, business cards, banner stands and more! Visit us online today to get started creating your authentic memory keepsake by creating one (or several) of our uniquely personalized products. Are you the star of your own Instagram universe? Why relegate your wonderful, photogenic self to the virtual ether? Rescue your proud pix from your smartphone and set them free in a permanent medium. Photo stickers are here to save them from oblivion! With Blue Bee, printable square stickers are the perfect way to save your Instagram memories forever. Blue Bee Printing offers square photo stickers in a variety of finishes to really showcase your Instagram pics. Matte or glossy, UV coated, paper, vinyl, or window stickers, the options abound for whatever you have in mind, and the square shape is perfect for your Instagram shots. It’s easy to upload the photos to Blue Bee’s user-friendly site, and they’ll walk you through your choices step-by-step. No matter who is on your list, photo stickers are a fantastic and personal gift. The possibilities with photo stickers are endless. Try experimenting with the same photo and different filters. One of the best features of Instagram is the ability to play with photo effects. You can turn an ordinary photo into something truly “gram” worthy. Stickers are also a great present for kids. They may have seen stickers with super heroes and cartoon characters, but they will flip over stickers of themselves and their friends and family! It’s an especially great gift for kids who are too young to have access to Instagram. We may have seen the photo pop up on our feed, but young children pose for a photo and often never see it. Having their photo on a sticker is a great way for them to feel like a star! Grandparents also love printed photos, even though more and more grandparents are tech savvy these days. If grandma or grandpa love to “like” and comment on your feed and share with their friends, then they will love a printed photo they can stick anywhere. If they’re not so tech savvy, give them the gift of photos they’ve been missing and can proudly display. Sometimes, finding the perfect gift for some of our friends and loved ones can turn out to be a challenging task. The convergence of easy online shopping and millennial minimalism means that people have what they want and they don’t want anything more. If you’re trying to come up with a gift for the person who’s impossible to buy for, photos are the perfect meaningful gift that won’t end up returned or re-gifted. 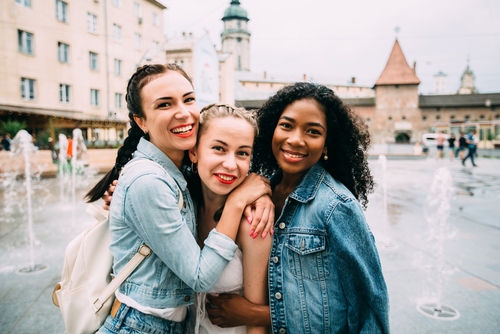 Create cool collages of a group of friends. Pick up a frame to showcase your design talent. Turn 4 photos into a photo-booth strip with an old fashioned feel by using sepia filters. Apply stickers to a phone, wallet, laptop, or iPad. Use them on mirrors, windows or car windshields. Stick on a wall calendar as a birthday reminder. Decorate your non-magnetic, stainless steel refrigerator. Affix to a kid’s lunchbox, thermos, or sandwich container to make lunchtime more fun. Use as wine glass markers to identify your drink at your next holiday party. With a little imagination, Instagram memories can become a tangible gift that your family and friends will enjoy long after the holidays. Visit www.bluebeeprinting.com to get started on your printable Instagram stickers today! Stop the endless cycle of thoughtless, impersonal gifts! No one needs another candle, body lotion, or scarf/mitten/hat set that will end up in the donation pile. Instead opt for a gift that is truly memorable and personalized. Custom photo stickers make a unique and treasured holiday gift for anyone on your list. You will never run out of options with custom stickers; if you can dream it, we can print it. Our user-friendly site walks you through each step of the process. Choose your sticker shape, select from our various paper stocks, and choose a coating. Then upload your photo, design, or artwork. It couldn’t be easier to make a perfect gift and the possibilities are endless! Anyone with children will tell you that sharing is rough. Warring over toys sparks countless arguments and meltdowns. Give the gift of tranquility with personalized “This Belongs To” stickers with a child’s photo. Gift a child who loves to read with a new book to add to their library and their very own “From the Library of” custom photo stickers as book plates. Create custom labels for items that are sent in to school or daycare. Personalize month-by-month stickers for baby’s first year photos. Customize a new cozy coupe with a cool license plate sticker with the child’s initials. Enhance your holiday cards with a custom envelope seal sticker and photo address labels using outtakes from your holiday photo shoot. Instead of “To/From” gift tags, make your very own photo gift tags with your picture. If you are headed to a cookie exchange, create a label with your special recipe and a photo of the finished product. For the family who loves the Elf on the Shelf, commemorate his visits with “The Elf Was Here X” markers. Buy the travel enthusiast a large wall map paired with a set of “I was here” stickers so they can always be reminded of their journeys. A new tablet, laptop, or e-reader is a wonderful gift, so really make it shine with a cool vinyl transfer sticker for the back. For the person who has everything, a gift card may be the only choice, but that doesn’t mean it’s a thoughtless one. Personalize it with a photo of you together, or with a funny message about a time you shared so they will actually think of you when they use it. Wine is a great gift, so customize the label with a personal message and photo. No matter what gift you have in mind, almost anything can be made special and memorable with custom photo stickers. A little personalization goes a long way. In this day and age, it seems ineluctable that you will be plagued with a hectic schedule, making you all the more ready to pull out your hair. Unfortunately, there’s not a remedy to every malady. It’s easy to think about putting on the brakes and coasting along, but putting that into action is a different story. Even if you are a busy bee, having some sort of calendar to keep your life straight is a helpful place to start. As a knowledgeable professional in the business world, you know that a calendar that stays in the same place (and doesn’t get lost) is not only beneficial in managing schedules, but also an excellent advertising method. What better way to advertise and manage your schedule than with a personalized calendar magnet that you can stick on your refrigerator or filing cabinet? If you’re searching for a form of advertising besides the mundane, easily-lost business card, you’ve found a flawless replacement. Though business cards can provide all of the essential information in a palm-sized space, once it leaves your possession and lands in the digits of a potential customer, it’s most likely going to get lost or tossed in a pile on a desk. Not the commanding effect you were hoping to have, right? Here’s the answer: a calendar magnet that acts in the same way as a business card, but doesn’t get lost or tossed. Just like a business card, a calendar magnet will have your business name and information, as well as your well-known logo. Here’s where branding is not only influential, but vital. Creating and establishing a logo, business name, and ultimately, a reputation, is critical in developing your brand. The average person has the option to pay attention to or ignore the advertising that comes their way. Having a positive brand elicits a positive response: recommendations to others, choosing your company over another, etc. With a calendar magnet that is omnipresent, as opposed to the disappearing business card, you’ll be on your way to a distinguishable business. 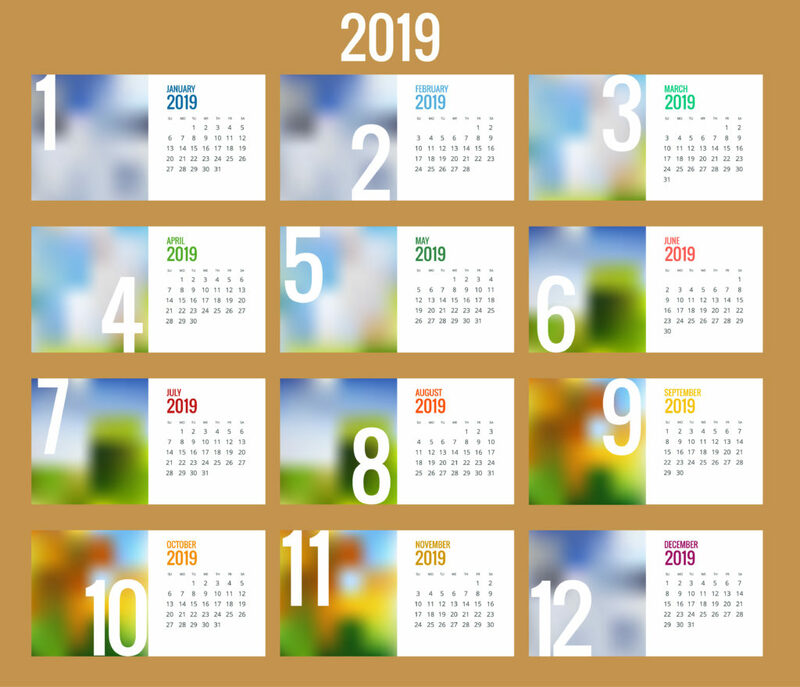 No matter your purpose for advertising, whether it’s to provide services, encourage individuals to buy materials or products, or visit a destination, a calendar magnet is the path to take. With our variety of designs and colors, we have the tools to assist in creating your most up-to-date addition to your brand. Each time a refrigerator door is opened or a quick glance is made toward your eye-catching magnet, your business is noticed. Increasing the number of times a person comes into contact with your logo or brand will only benefit you. If you already have an established logo and business name, all you have to do is create your magnet. If you’re just starting out, work with someone who can help you design an effective and unique logo. Once you’ve settled on a final design, we are more than ready to work with you! Simply visit our website to design the looks of your magnet. You can choose the size, coating, proofing, and delivery options. After you’ve completed all of the steps, we get to work on producing a high-quality magnet designed specially by you. As always, we strive to create products of the best quality that will ignite in our customers a passion and confidence for networking and advertising. This kind of design facilitates easier connections with current and potential customers as well as other business professionals. Presenting yourself and what you stand for becomes much less nerve-wracking when you’re sharing a product that prompts a sense of pride. Don’t hesitate to visit our website and get working on your next creation!